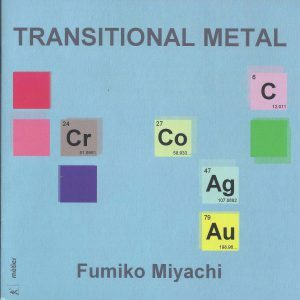 Fumiko Miyachi is a Japanese Composer who currently lives in Britain. Transitional Metal is her first portrait release, featuring six pieces written between 2003 and 2016 with a variety of instrumentations. Her composition is atonal, but straightforward and lyrical. Two Shakespeare Songs, Ag47 (Silver) is one work on this recording that features the clarinet. It is based on two Shakespeare sonnets, each with 14 lines and rhyme schemes for soprano, clarinet and piano. The piano mainly plays a simple, accompanying role. The rhymed text in the voice is portrayed with atonal harmony and sharp rising intervals. The clarinet melodies serve multiple functions, such as echoes of the voice line, countermelodies, and solo voices, as if the instrument is the second voice in the composition. Suzie Purkis sings expressively in the “text painting” sections. Jack McNeill, the clarinetist, is a sensitive player with extreme dynamic contrasts, clean technique, and pure tone quality. The ensemble playing is excellent regarding balance and is clearly a chamber music collaboration, rather than voice with instrumental accompaniment. It reminds me of Schubert’s “Shepherd on the Rock.” This fine recording presents a convincing performance of a fine composition. 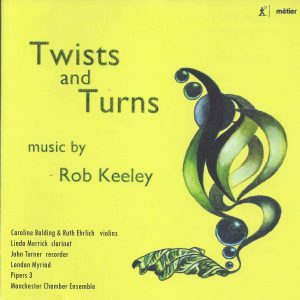 Twists and Turns features the compositions of Rob Keeley, a Lecturer in Composition at King’s College, London, three of which feature the clarinet. Four Anachronistic Dances is written for clarinet and harpsichord. The composer adapts the relatively rare combination of these instruments smartly–the harpsichord always reminds me of 18th century court musicians performing the music of Bach, Haydn and Handel. The clarinet’s dissonant melodies in this piece are similar to some of the humorous petite pieces by Penderecki and Lutoslawski. As a result, the tone color of this combination is “pleasantly surprising” as the composer says in the liner notes. I also love the way that Keeley uses a variety of dance forms, from different regions and in various styles. The music is fun, goofy and atonal. Rob Keeley also performs as the harpsichordist, playing ostinatos figures, percussive rhythms, and imitative figures flawlessly. The clarinet part is playful, humorous and light-hearted. Linda Merrick, the clarinetist, embodies this character and always plays with a beautiful, sweet tone. The whole piece, just like the title “Anachronistic,” is somewhat in style of the neo-baroque and neo-classical music because of the combination of instrumentation, forms, and modern harmony. What a fun piece to listen to! Twists and Turns shares some of the characteristically humorous features of the first piece. Many Bach-like repetitive, contrasting fugato figures and melodies are shared among the three players equally. Rob Keeley and Linda Merrick, along with John Turner, the recorder player, perform with a consistent stylistic approach, despite the differences in the tone colors of their instruments. Seven Studies for wind quartet is also a great, fun addition to the repertoire of any chamber group. Each of the movements is short, with a unique personality. Nadia Wilson is the featured clarinetist in this quartet. She plays with great lyricism in the solo parts and excellent sensitivity in the supporting roles. I love both the composer and the players featured in this album. I cannot wait to program some of these compositions on my future recitals! On With Some Great Songs, Volume 2, German-Hungarian clarinetist, Lajos Dudas, leads a chamber jazz blowing session for JazzSick Records. The varying small group, along with the clarinetist, features guitarist Philipp van Endert. The percussion role is shared by Kurt Billker (three tracks) and Jochen Buttner (two tracks), and three of the tracks are guitar and clarinet only. The duo and trios, using loose arrangements by the clarinetist, cover a few sambas, a medium swing tune, an original slow ballad, and a blues. 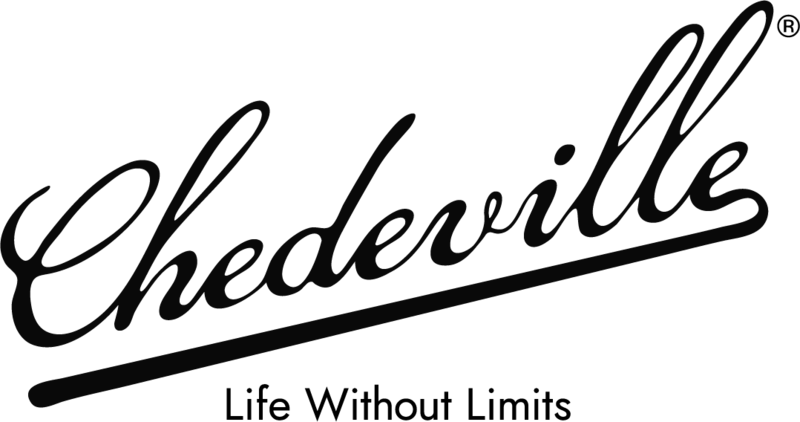 Additionally, some floatier, spacy, avant-garde percussion textures are used to set up mysterious moods on tracks such as Mingus’ Goodbye Porkpie Hat, and most significantly on a darker interpretation of the famous Paul Desmond hit, Take Five. Dudas’ jazz clarinet playing, with its sub-toned low register, resembles work by famous giants such as Jimmy Giuffre. However, the main resemblance would be to the lesser known jazz clarinet style of Bill Smith (readers may more commonly know him as William O. Smith). The sub-tone, slightly spread tone, loose articulation, and types of vibratos and pitch bends all echo Smith’s jazz style. Dudas even uses some echo effects on his clarinet sound, as Smith famously did on his performances with Brubeck. The inclusion of Take Five on this session also suggests a Smith/Brubeck influence. 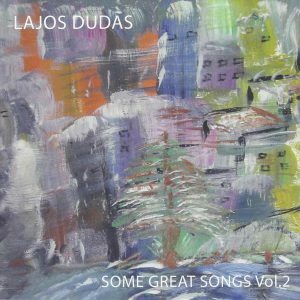 For fans of Cool Jazz—in particular Dave Brubeck’s 1980s groups—Lajos Dudas’ With Some Great Songs, Volume 2 is a chance to check out another clarinetist’s take on the style. 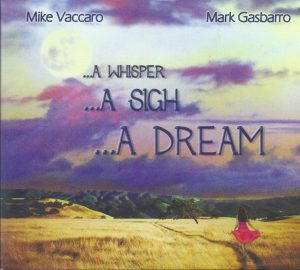 …A Whisper…A Sign…A Dream is by Los Angeles based clarinetist Mike Vaccaro and pianist Mark Gasbarro. Liner notes written by Vaccaro himself give great background for each of the pieces performed and includes biographies for each of the artists. The recording quality is excellent and balanced quite nicely, complimenting both artists. Three of the pieces on this album are originals written by or arranged for Vaccaro. The title track, composed by Gasbarro, was originally for violin. It has a beautiful melody constructed of individual musical cells before it moves to a more linear melody. The second piece on the album, written by Tim Simonec, is a play on Vivaldi’s Four Seasons, entitled 4 Seasons – No Strings Attached. It begins with “Summer” and a jazz-like feel, with lots of rubato. “Fall” is characterized with descending thirds, which almost gives the feeling of leaves falling. “Winter attaca Spring” begins slowly in the lower register before picking up in tempo and register. After a version of Piazzolla’s Oblivion are two pieces featuring a solo by each of the artists. After the solos is Sonata in Re by Nino Rota, which I found very reminiscent of the Brahms sonatas. The album concludes with a great Latin-sounding piece, Neapolitan Suite. Overall, this is a wonderful album featuring music written by some lesser-known composers and really worth checking out. 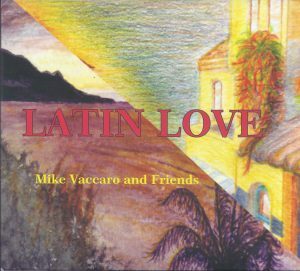 Latin Love: Mike Vaccaro and Friends is another recording by Los Angeles based musician Mike Vaccaro and several of his friends. Vaccaro shows his ability to double, performing on clarinet, saxophone and flute. If you were looking for a delightful jazz album to listen to this summer, I would highly recommend this one. The entire recording has an enthusiastic groove and a great connection between all of the featured artists, who clearly enjoyed performing for this album. Liner notes, written by Vaccaro, add lots of background information for some of the lesser-known tunes. I particular enjoyed their take on Villa-Lobos’s Bachianas Brasileiras #5. Vaccaro doubles the melody, sung by Anne Walsh, on the flute. Like the rest of the album, the solos are creative, but what really impressed me was the counterpoint between guitar and bass underneath the solos. This, in my opinion, really captured the “Bach” element that Villa-Lobos had intended. Although the majority of the album features the saxophone as the main wind instrument, there are two bonus tracks that both feature the clarinet. 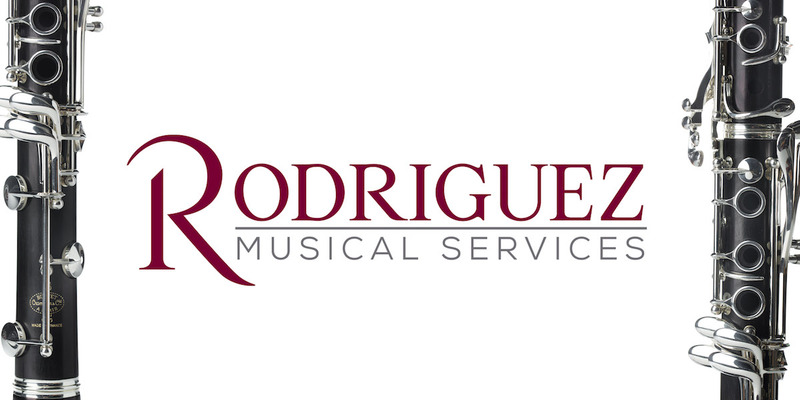 The second “encore” is entitled Segura Ele written by Pixinguinha. Pixinguinha was a famous Brazilian flautist, saxophonist, and composer who was famous for writing in the choro musical style. It is a perfect ending to a great album, featuring only clarinet and marimba. 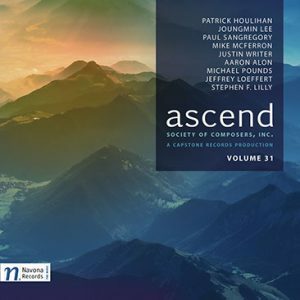 Ascend: Volume 31, A Capstone Records Production is the fruit of an ongoing collaboration between PARMA Recordings and the Society of Composers, Inc, which showcases phenomenal work by composers from around the world interpreted by stellar performers including the JACK Quartet, the Counterpoint Ensemble, and David Carter, principal clarinetist of the Tulsa Symphony. For the single work for clarinet on this recording, Carter skillfully navigates the dynamic range of the instrument in Justin Writer’s solo piece, Fantasia, with enviable evenness of tone and considerable panache. A sinuous opening belies little of the imminent climb in intensity alternating between capriciousness and insistency reminiscent of Messiaen’s Abime des Oiseaux. Tightly spun figurations freewheel into larger and larger gestures that ascend into the upper echelons of the clarinet range before a despondent finish. The score is available on his website and an additional piece, Sonata for Clarinet and Piano, is available for perusal by email request. Justin Writer is Associate Professor of Composition and Music Theory at the University of Texas Rio Grande Valley and wrote Fantasia and Five Images from Early Earth to be featured on the debut album of Duo Avanzando featuring David Carter and Brazilian percussionist Richard Coelho De Souza. From a Far-Off World, a Ravello Records re-release included in The Capstone Collection, features music for saxophones and bass clarinet and was originally released in 2006. Hailed as a “champion of contemporary music for classical and jazz woodwinds” by Music Web International, saxophonist and bass clarinetist Demetrius Spaneas explores electronics and the potentials of sound as a medium. Waking in the Dirt (1999) by Shaun Naidoo (1962–2012) opens the recording and blends old world wistfulness bordering on folklore with dystopian digital intrusions. The compilation is weirdly stimulating, tribal, and eye-opening. Shaun Naidoo’s diverse career included writing for cabaret, musical theater, and modern dance in South Africa in the 1980’s and electro-acoustic works in the 1990’s. Naidoo also served as Associate Professor of Composition at the University of Southern California in addition to teaching at Chapman Univeristy. 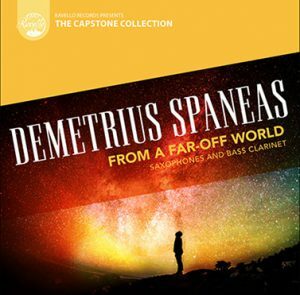 Demetrius Spaneas throws himself into Naidoo’s work and produces unique and varied sound profiles on the bass clarinet that weave in and out of the digital media. The bass clarinet sound wanders through these varied textures, at times seeming lost, at times in tandem, expressing alarm or excitement. At the climax, it is easy to imagine a 1980’s arcade melting in terror-inducing apocalyptic conditions. Spaneas shows great skill in his control and scope of bass clarinet sound upon which he paints like a canvas. The recording also features two interludes (Intension and Reflection) composed by Spaneas for saxophones, Blood on the Pattern for alto saxophone and electronics by Shaun Naidoo, Tagore Songs for soprano saxophone and electronics by Jane Brockman, and Blood Memory for bass clarinet and sruti box. Blood Memory by Dr. Sean Heim produces a trance-like state in the opening bars with the organ-like texture of the sruti box, a harmonium instrument found in Indian classical music. The bass clarinet skips in and out with unpredictable colors and mood swings. Heim professes to seek out commonalities that extend beyond cultures and serves this purpose with his very personal and imaginative vocabulary. The expressive quality of Demetrius Spaneas’ playing keeps the listener on the edge of their seat as he expounds upon the folklore of a far-off world with throbbing bass notes and rattling intensity that is weirdly alienating but cloyingly familiar and humanist in nature. The interplay of percussive elements, key slaps, and articulated passages are especially intriguing as the work grows in its virtuosic scope and rises in intensity to a primal scream. Most clarinetists are familiar with works for clarinet and vocalist, such as Schubert’s famous Der Hirt auf dem Felsen, D. 965, Spohr’s Six German Songs, Op. 103, or Ralph Vaughan Williams’ 3 Vocalises. Works for clarinet and soprano voice have been a historically popular ensemble, but works for clarinet and lower voice are far less common. Enter Phillip Schroeder. 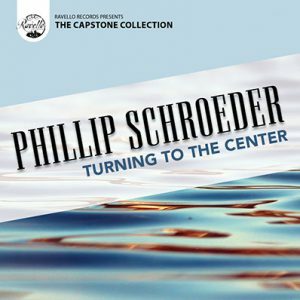 Phillip Schroeder: Turning to the Center features works written by Phillip Schroeder for clarinet, baritone voice and piano (with occasional bass clarinet, synthesizer, and percussion) with text by Walt Whitman, Mark Twain, and Rumi. This recording was originally released in 2002 by Capstone Records, which was acquired in 2008 by PARMA Recordings. The 2017 digital release from The Capstone Collection allows listeners to enjoy this recording in our ever-advancing technological world. In the original liner notes to this recording, Phillip Schroeder says, “I find no aspect of composing more fulfilling than the crafting of music for specific performers, their strengths, aesthetic preferences, and personalities, ultimately resulting in a community effort as kindred spirits.” The richness of the baritone voice is combined with the mellifluous vocal characteristics of the clarinet, creating environments to embody the wit, humor, and somber characters of the text. Clarinetist Tamara Raatz transitions seamlessly between melody, harmony and accompaniment. Baritone Robert Best captures the emotional implications in each piece, which Schroeder takes great care to emphasize throughout these works. Schroeder’s music is melodic but not without its challenges – the clarinet line features large intervallic leaps, effervescent accompanimental figures, and delicate entrances, all of which Raatz handles with grace. Raatz switches between playful (as in An Offering “Beautiful Women”) to somber plainchant in unison with baritone (An Offering “O You Whom I Often” and “Silently Come”). Clarinet becomes bass clarinet in the “Prelude” to Turning to the Center to create an ethereal soundscape perfect for Rumi’s mystical text. These three works – An Offering, From Pudd’nhead Wilson’s Calendar and Turning to the Center – are melodically and harmonically refreshing. Fans of both clarinet and vocal music will enjoy this recording, made even more widely available through its digital medium.